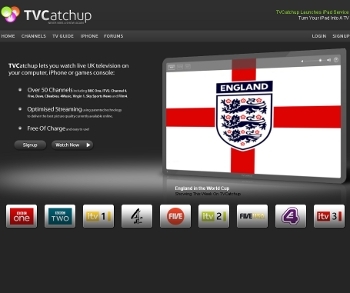 TVCatchup, the popular UK TV streaming service on the web, iPhone and iPad is under threat following the launch of legal proceedings by three TV networks. Paid Content reports that ITV, Channel 4 and Five have confirmed an earlier FT story (subscription link), stating that they have launched joint action against the service. Although details are sketchy as to exactly what the networks are demanding, it certainly puts the future of TVCatchup under threat. 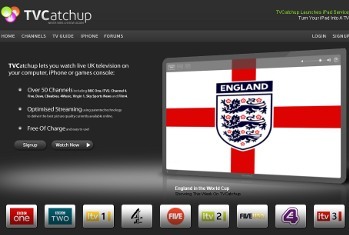 TVCatchup’s success is down to offering most major UK TV channels for streaming all in one place. Many of these channels are available to stream from their individual websites but TVCatchup is a convenient place to find them all, especially when out and about on the iPhone. The problem? It’s an unlicensed service without the backing of the stations it streams. We’re surprised it’s taken this long for the networks to fight back; TVCatchup has been running for quite some time. As Paid Content notes, ITV’s desire to have viewers watch its World Cup coverage at its own newly iPhone-optimised website could be behind the move’s timing. Read next: Photobucket reaches into mobile with new BlackBerry app and a new focus.